Mesotherapy has several advantages. It eliminates the side effects and contraindications associated with several medications. Often times, intolerance to medication is related to medication systemically reaching parts of the body that do not require treatment but in mesotherapy, the medication is delivered in a target specific manner. This greatly reduces the possibility of side effects and the target area is reached immediately with undiluted medication reducing the required dosage with the added advantage of producing rapid results. Local mild bruising is a possiblity however. 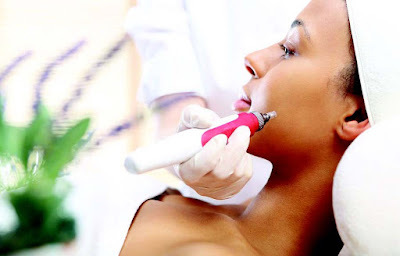 Benefits of mesotherapy include improved blood flow to the treatment area, dissolution of excess fat deposits, removal of hardened, fibrotic connective tissue, improved lymphatic drainage and contouring the body. The medications used in mesotherapy melt the fat beneath the skin and shrink fat cells located in the Scarpa’s fascia layer. The dissolved fat is excreted by the kidneys and bowels. When treating cellulite, the medications used destroy the connective tissue bands and melt the trapped fat responsible for its lumpy appearance creating a smooth dimple-free appearance. When treating cellulite and fat deposits, medications are injected directly into the affected areas and treatment is administered weekly with results usually visible by the fourth treatment. After 10 treatments, patients see a significant reduction in size, improved skin tone, and smoothing of cellulite. Typically, patients lose 4 to 10 inches in 10 weeks. The combination of herbal products, vitamins and medications to be injected is tailored to meet each patient’s needs. There are many factors taken into consideration to determine the most effective combination such as Genetic predisposition to condition in question, detailed medical history, gender, type of fat (soft or firm), history of liposuction and age. Mesotherapy should not be performed on individuals with known allergies to ingredients used, individuals with a history of stroke, systemic illness, herpes, active skin disease, kidney and liver disease. With the use of a tiny needle about the thickness of an eyelash, the medication is injected into the mesoderm painlessly. Sometimes the multi-pricking technique is used which may be performed manually or with the use of a semiautomatic or automatic Mesogun. Patients undergoing mesotherapy are advised to follow a natural and healthy diet and to drink plenty of water to flush out the toxins and dissolved fat produced by the process. Exercise is necessary at least 3 times a week to improve circulation. Candidates for mesotherapy must be adults between the ages of 18 and 75 in good health. Patients who are pregnant, on blood thinning medications, insulin dependent diabetics, on medication for cardiac arrhythmias, with severe heart disease or cancer are NOT candidates for mesotherapy. The typical results for mesotherapy for overall weight loss are measured in inches. Fat is melted under the skin and about one pound of fat is lost per week (equivalent to 4 sticks of butter). The treatment is applied to the arms, thighs, waist, hips, back and legs in one session. If necessary, treatment is applied to the chest in men with gynaecomastia (enlarged male breast tissue). A typical patient is expected to lose 2 dress sizes after 10 sessions. Some patients lose up to 4 inches on their waist, hips and thighs. For the treatment of cellulite, mesotherapy is a solution that eliminates dimpling and misshapen fat under the skin. Cellulite is an accumulation of fat, fluid and toxins trapped in a hardened network of connective tissue fibres in the mesoderm layer. The fat cells inflate causing the rippling, dimpling and puckering of the skin known as “Orange Peel Skin”. Lymphatic drainage and venous circulation is poor in cellulite affected areas. Mesotherapy increases circulation, deflates fat cells and destroys hardened connective tissue. In about 4 weeks the patient’s skin appears significantly smoother and most patients lose 2 to 4 inches in the cellulite treated areas. For spot weight reduction and body contouring, mesotherapy is a virtually painless alternative to liposuction. Fat and cellulite are eliminated from targeted sites and patients could lose 2 to 6 inches off problem areas after 10 sessions. Note that in Mesotherapy, fat cells are not removed but are deflated while in liposuction fat cells are removed. Mesotherapy may be used to perform a nonsurgical facelift. This process known as Mesolift employs a combination of vitamins, medications, herbal products and enzymes to tighten and rejuvenate the skin. This procedure may decrease bags and tighten the skin under the eyes, reduce wrinkles and improve jowls. The skin may also be treated with brightening agents and chemical peels administered by the microinjections. Mesotherapy may also be used to improve the appearance of scars. The cocktail of enzymes, vitamins and herbal preparations target scar tissue beneath the skin improving its appearance. After treatment, the raised scars appear flattened and pigmented scars blend into surrounding skin. The overall appearance of scars improves significantly.